Most Americans have never stepped foot on a farm or ranch or even talked to the people who grow and raise the food we eat. 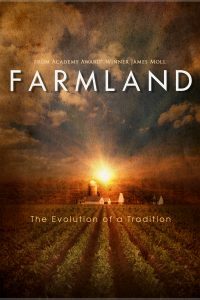 "Farmland" takes an intimate look at the lives of farmers and ranchers in their twenties, all of whom are now responsible for running their farming business. Learn about their high- risk/high reward jobs and passion for a way of life that has been passed down from generation to generation, yet continues to evolve.